I was working late that night and had to go home at around midnight. I decided to take a cab from the taxi stand which was just around the corner. I got down from my office and I was walking towards the taxi stand. It was dark that night. Pitch black I could say. I could see a few people going towards the highway and thinking about what a bad day they had had. I could see a few bikes parked near the alley where there is a no parking zone and if it was daylight these bikes would have been towed away. If I would have finished my work, at least fifteen minutes earlier I would have been able to catch the last train to my place. Unfortunately, that did not happen. Since I had to catch a cab, I needed cash. So I decided to stop by and withdraw some money from the ATM. I was nearing the ATM and that’s when I saw something happen. A young lean boy with strong forearms and jaws was hurling abuses at the cops who were sitting at the railway station. He was short and slim. He had slender thighs and seemed like an athlete ready to sprint his way towards glory if the cops came to catch him. I did not know what they had done to him but he was standing at a fair distance away from the cops and yelling out to them. Challenging them to catch him. He was deeply disturbed and very abusive. He just wanted to vent out every bit of frustration that he had inside of him. That’s when one of the cops hurled a lathi at him. He ducked and evaded it. Another cop came running to him and this guy just ran like crazy. 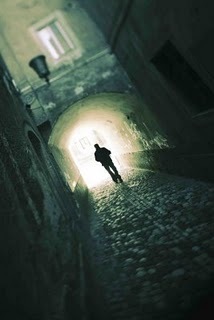 He stumbled a bit but got back onto his feet and escaped in darkness. Later as I would know he was arrested and taken to police station, but it certainly took a police jeep to get hold of him as our pot bellied cops were no match to his pace and were just a bunch of spectators in this escapade of his.